City baseball opens. Defending champion East’s Coach Crandall previews season. And Cruz Control is back. The opening of the RCAC season means our now annual season preview from East’s Coach Kyle Crandall. 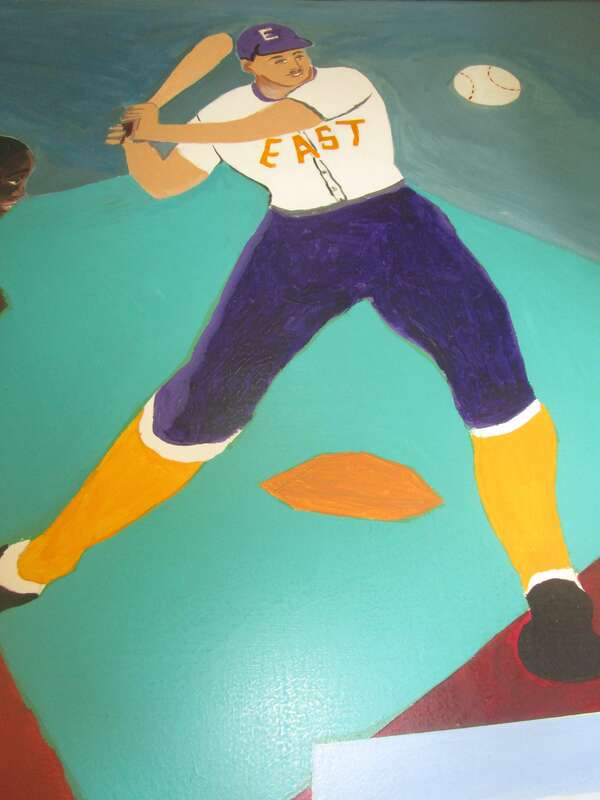 You first met Coach Crandall in East baseball takes the show on the road. Destination Pittsburgh. Since, he has provided a 2015 season preview and a later a 2015 season review. And now his 2016 preview below. 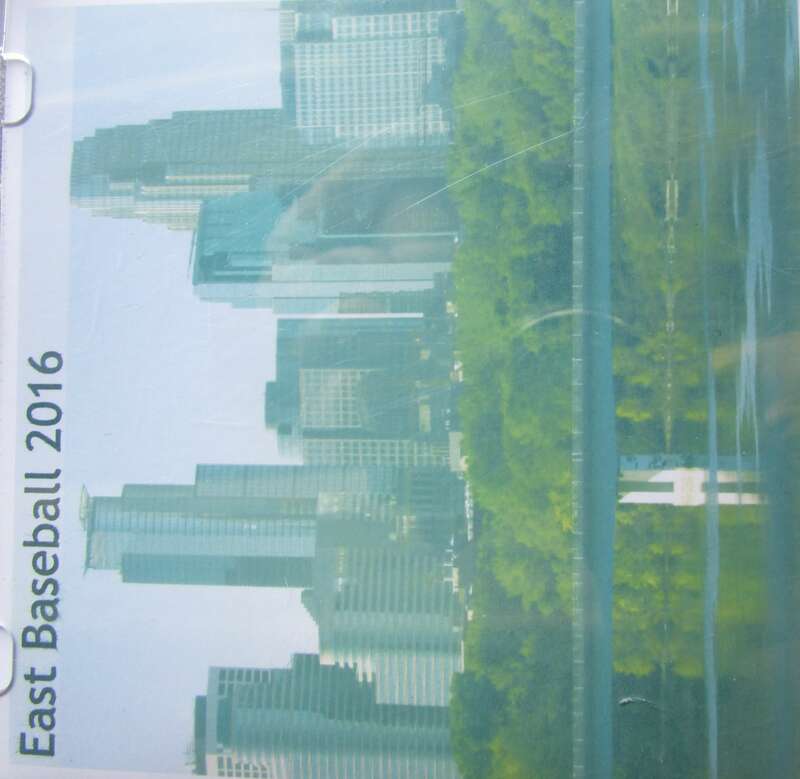 My first game of the season was last week for the second day of the East Tournament. As a member of the press (in theory), I decided to visit and watch the game from the Press Box. I first saw Ben Russ IV, a senior at Northeast High School where he plays first base and pitches. For a few reasons, I was not so surprised to see Ben. I first met Ben about three years ago when we played baseball together in the Extended Day program. Tall and agile, Ben has a naturally smooth throwing motion and loping speed. And, when Ben told me he was a close friend of Coach Crandall’s family and had offered to help out in the press box, it made perfect sense. Everyone knows Ben as a “stand up” young man. On a few occasions, I had worked in Ben’s classes as a substitute. I remember him taking on a leadership role, doing all his assignments when others viewed my presence as an opportunity to slack. During out “interview” in the press box, Ben told me last year he got Kenny Cruz out twice (I’ll have to corroborate with “Cruz Control”). And that in the Fall he would be studying at the SUNY College of Environmental Science and Forestry in Syracuse. Ben plans to play basketball at ESF as his major sport; no doubt he will shine on the court and in the lecture halls. I also met the “press box guy,” Allen Robinson, a Business Education teacher at Franklin. 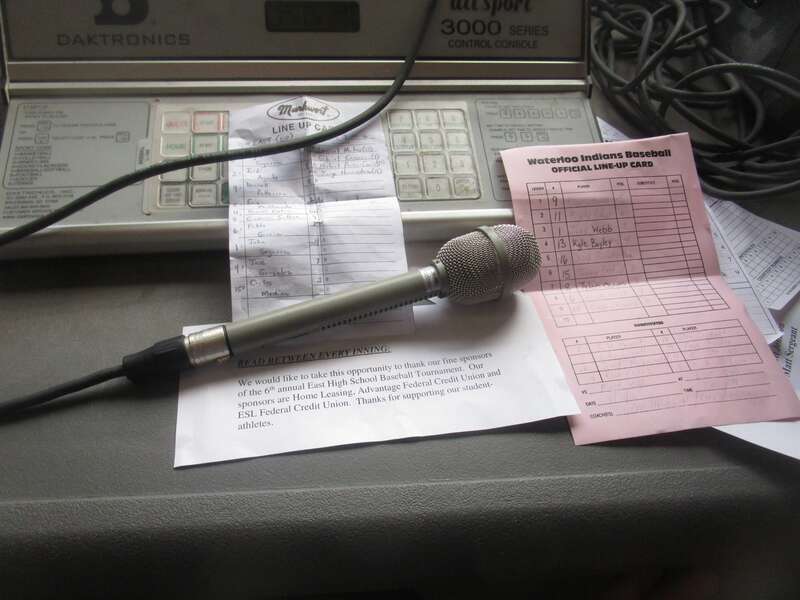 For several years now, Allen has managed the East press box, making sure the equipment — microphone, sound system, the camera, etc — is in working order. Allen likes that during and after games upwards of 15 East student visit or hang out in the box. The press box staff both have a lot of fun and take their job seriously. Allen sees the student’s visits as teachable moments in which, by choice, they get exposure to the press box work and play ethic. I also learned from Allen that East baseball is very much a family affair. I met Coach Crandall’s sister and parents. His bother Brett is an assistant coach. And the children Michael, Alisabeth and David help out in the box. David took the pictures of Ben and myself and does double duty as groundskeeper’s assistant. 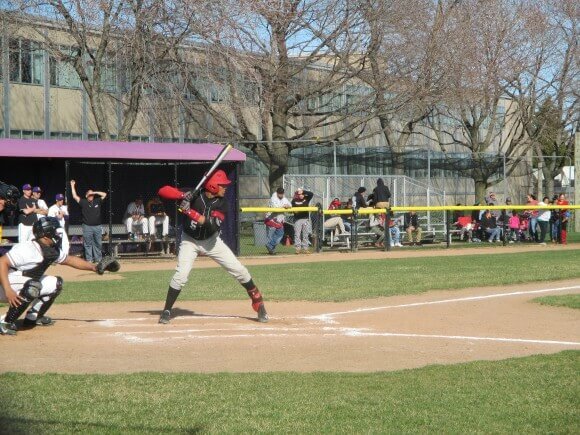 East is led at the plate by returning starters Darnell Patterson (Sr–OF), Eric Maldonado (Jr-C), Jordi Agosto (Soph-3B), and Jose Gonzalez (Sr-OF). 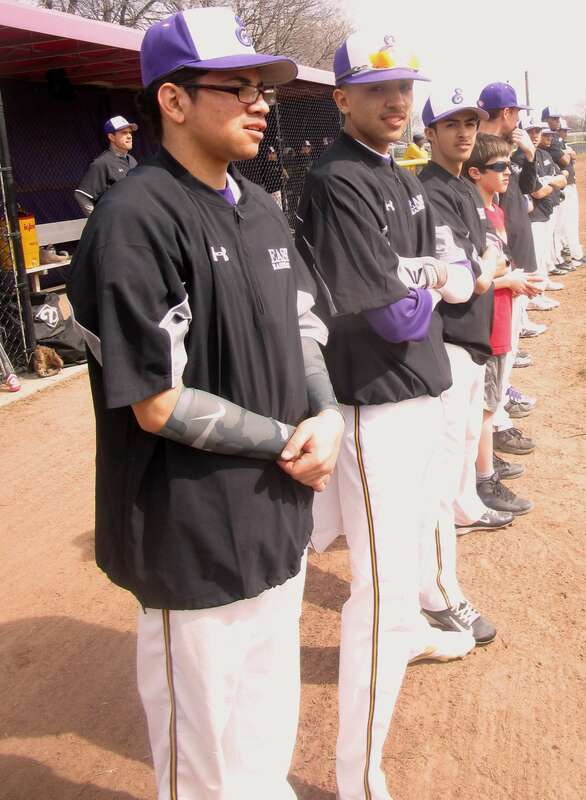 On the mound, East returns its top pitcher, junior-Pablo Garcia. Angel Segarra, and younger brother John, have returned from Massachusetts back to East giving East much needed middle IF and pitching depth. The team has a mix of younger players and veterans so Coach Crandall expects the team to improve and contend for the City Championship as the season moves on. They have started the season well by defeating Sodus and Waterloo to win their own tournament over Spring Break. East has won the City Tournament each of the last 2 years and 7 times over its 11 year existence. Wilson: Wilson has had a coaching change. Coach Cavuoto has resigned to spend more time with his family and has passed the baton on to his former JV coach, Brian Hugelmaier. While Wilson does not have the depth it once did, the Wildcats do have a few returning players that are eager to prove that Wilson still belongs in the top of the league. Edison: Edison lost one of the better players in the league last year, Bryan Rivera, to a transfer. The team hopes that some of the returning starters and some of the younger players can help Coach Morales’ squad become competitive again in the RCAC. Franklin: Franklin had one of the youngest teams in the City last year. Sophomore Frankie Santiago is off to a torrid start and looks to lead Franklin to its first City Championship in many years. Coach Lee and his team will be one of the early season favorites to come out near the top of the league by the end of the season. Monroe: Monroe is once again one of the preseason favorites to contend for the City Championship. They have lost to East in back-to-back years in the City Championship. Is this the year that Coach Golamb is able to get his team over the hump and win a City Championship? They may have the pieces to get it done. 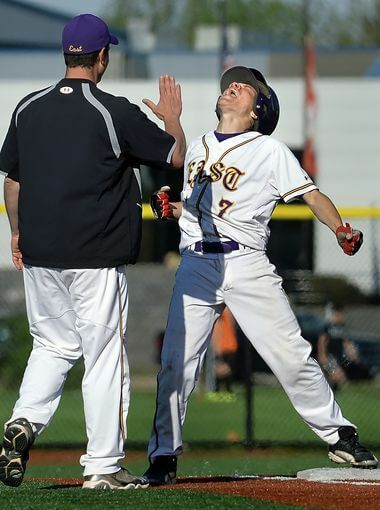 Northeast/Northwest: NE College Prep enters this season as its second in the RCAC league. Coach Sova has worked hard with his players in the offseason trying to make sure that they can compete in league games this year. It would be a major accomplishment for this team to finish in the top 4 teams in the league and qualify for the City Tournament. 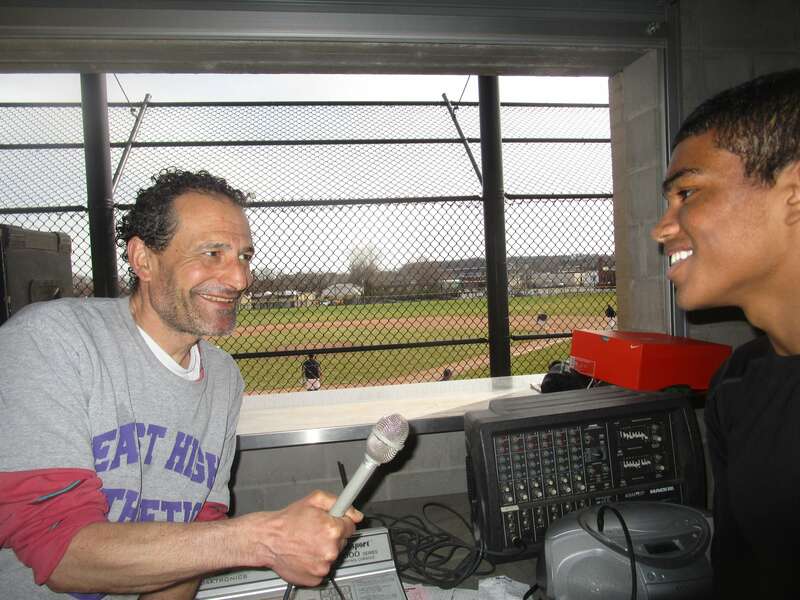 School of the Arts: SOTA has one of the best players in New York State on their roster. 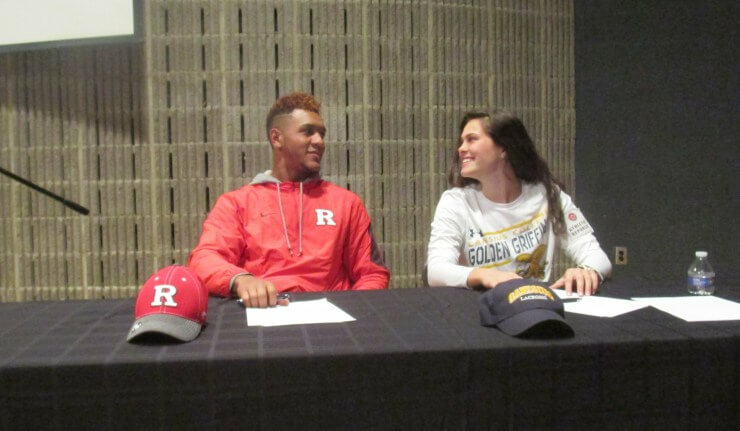 Senior Kenny Cruz has committed to Rutgers next year where he expects to make an immediate impact in their baseball program. 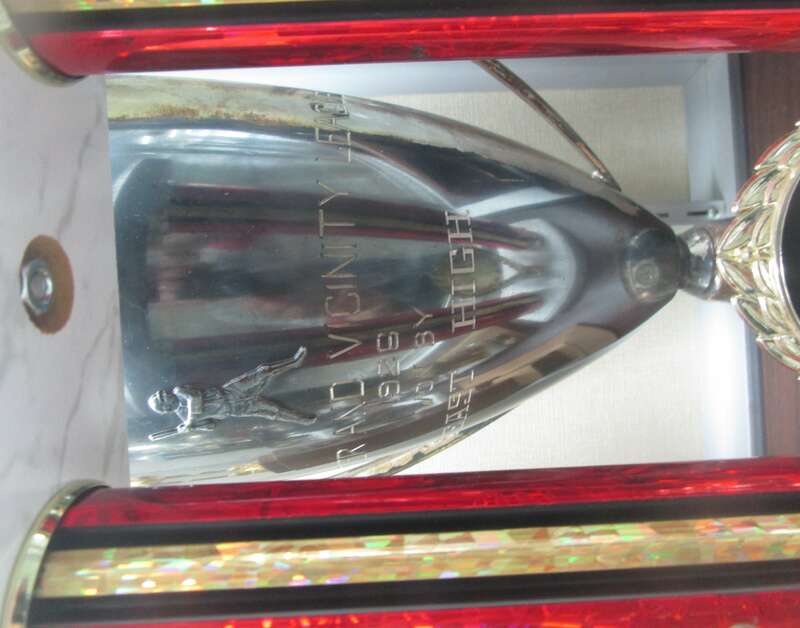 SOTA must get significant contributions from other players around Cruz in order to make the City Tournament again. If anyone can get the most out of their players throughout the course of a season, it is Coach Cronberger. As seen in The Kenny Cruz Watch, last season scouts were seen in the stands at East. 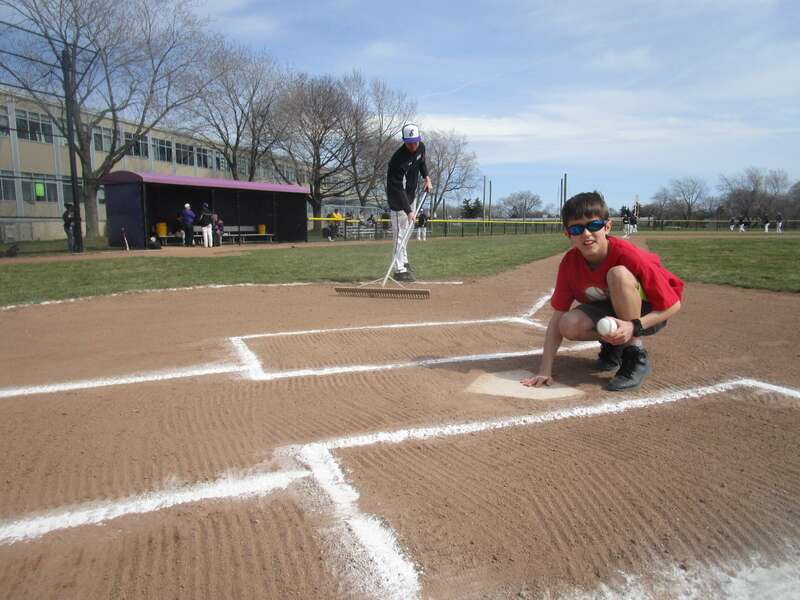 “Team Eagle” set to open a new field of dreams at East. Roland Williams ’93 drops by for final summer tune up.